If you see something, you can say something by filing a report with WILDLEAKS.org. Democrats urge SEC to investigate rampant wildlife trafficking on Facebook. On Monday, a pair of Democratic lawmakers urged the head of the U.S. Securities and Exchange Commission to investigate claims that Facebook has failed to tell shareholders about the illegal trafficking of endangered species taking place on the website. 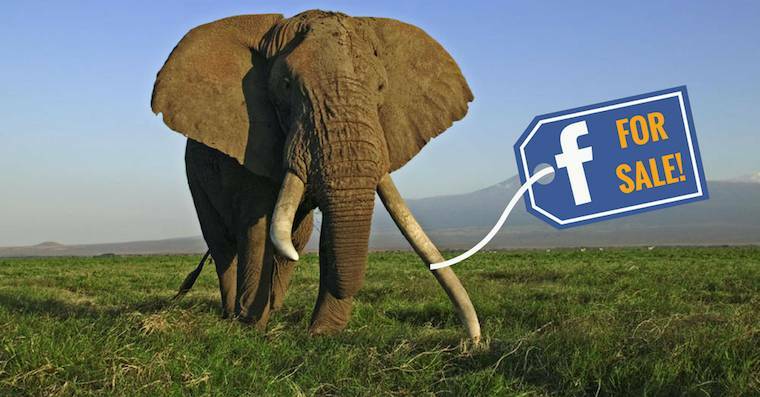 U.S. Reps. Raúl M. Grijalva, D-Arizona, and Jared Huffman, D-California, asked SEC Chairman Jay Clayton in their letter to look into an anonymous whistleblower complaint filed with the agency in August alleging that Facebook is being used to carry out illegal wildlife trafficking and the website is fully aware of it but doing little to shut it down. We strongly encourage you to TAKE ACTION on your own by actively reporting and flagging posts and ads showing wildlife body parts for sale on Facebook. If you see something, you can say something by filing a report with WILDLEAKS.org. “Facebook’s lack of disclosure of the illegal activity facilitated by its site and its failure to take adequate steps to address that activity are both violations of SEC rules,” the letter claimed. We recently discussed Facebook’s lack of commitment to shutting down wildlife trafficking even after signing onto a worldwide commission dedicated to stopping the industry online. This is especially serious given the fact that the planet is losing vast amounts of endangered and threatened wildlife on a daily basis, including the loss of 30,000 elephants a year due to poachers. Hopefully, the SEC complaint and this letter from Democratic lawmakers will be able to further bring to light how much of Facebook’s annual revenue of $41 billion has been generated by ads running on pages featuring illegal activity, such as the sale of elephant ivory and tiger teeth.